We treat each client individually. Instead of one-size-fits-all methods and consulting jargon, you get tailored service and concrete solutions. The references below show how we have helped our clients to strengthen their business. Sanoma Media Finland is the largest media company in Finland and a part of Sanoma Group. Its business units are Sanoma Lifestyle, Kids Media, Helsingin Sanomat, Ilta-Sanomat and Nelonen Media. The company has successfully digitalised its internal processes and offering during turbulent times. Sanoma Media Finland and Helsingin Sanomat in particular is seeking new ways to combine new technology with their strong journalistic tradition. DMF has helped Sanoma Media Finland transform their development needs into projects and to successfully apply for funding from Business Finland and Google Digital News Initiative (DNI). The projects have been related to artificial intelligence and utilisation of such in media business. In addition to building the projects, DMF has actively participated in the implementation and reporting of projects. Viestilehdet Oy has been successful for over century in publishing media content for Finland’s agriculture and forestry sector and continues to enjoy high profits and healthy growth. As Viestilehdet experienced the market changes of both readers and advertisers, the company reacted and started to seize the opportunities of digitalisation on both strategic and operational levels. DMF has advised Viestilehdet for several years now in strategy, in raising the employees’ competence level, and in digital B2B sales. DMF also provided interim CDO services for Viestilehdet for a year. 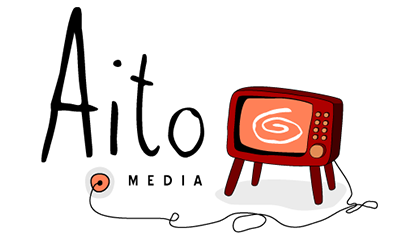 Aito Media is one of the largest TV production companies in Finland. The company annually produces more than 200 hours of programmes for both national TV channels and international distribution. Aito Media Group also includes Studio Mediapolis and Aito & Haapasalo Entertainment. DMF has helped Aito Media in creating the company’s growth strategy, implementing the strategy, and internationalisation. The cooperation started in 2010. The company’s management team has been coached to master strategic planning and monitoring, and international business. DMF has also helped Aito Media in ownership transactions in 2013 and 2017. In the first case, the international Content Media Corporation purchased 50.1% share of the votes. In the latter case, the French Lagardère Studios purchased the majority of the votes. Aito Media has changed its role from a challenger to become one of Finland’s leading TV production companies. The company’s turnover has multiplied during the 2010s and was EUR 10m+ in 2017. Visedo is a fast-growing technology company, which develops world-class electric drivetrains for commercial vehicles, marine vessels, and heavy-duty machines. DMF helped management in creating its growth and internationalisation strategy. As a part of the strategy process, the company’s processes and operational methods were improved as well as the conceptualisation and exploitation of the digital platform. DMF helped in creating a segmented and territorially focused internationalisation strategy, which was based on the global demand of the company and its products. In addition to this, the recruitment and funding plans were compiled together. In October 2017, Danfoss A/S bought the company. Tubecon provides a unique meeting point for YouTube content producer stars, their fans, and brands. The vision of Tubecon is to become the biggest YouTuber and online video event organiser in the Nordics. In addition, Tubecon aims to scale-up to a pan-European event network, and to become an international media platform via licensing. In order to execute its growth strategy and internationalisation, Tubecon needed external funding. DMF has helped Tubecon in applying and getting Business Finland funding from early-stage Tempo funding to Young Innovative Company funding. The plans of the funding projects were compiled in cooperation and the business plan was specified. In addition to this, DMF compiled the funding applications, and helped Tubecon in funding negotiations.